RCI Financial Services Limited is committed to customer satisfaction and to treating customers fairly. An important part of this activity is to monitor and analyse customer complaints in order that appropriate actions are taken in individual cases, or more generally if that is required. 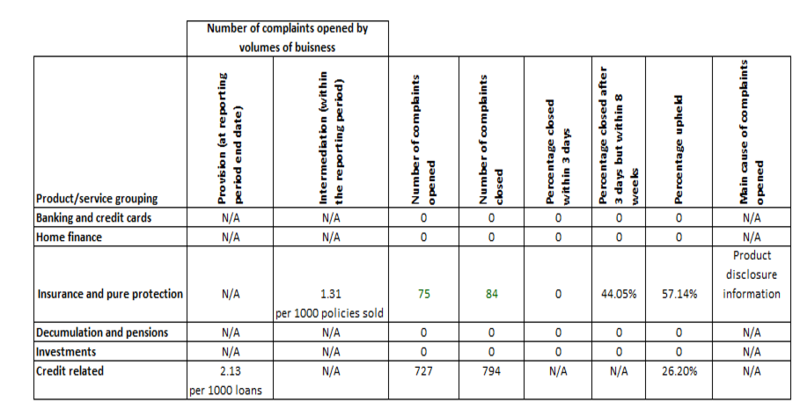 The most recent complaints data in respect of the brands managed by RCI Financial Services Limited is shown below.